Save the Harbor/Save the Bay is pleased to announce the opening of its new interactive Boston Harbor Pop-Up Museum at 226 Causeway Street across from North Station in Boston. All the joys of Boston Harbor... in the North End! (Left to right) SHSB staff and interns- Emily Bozadjian, Tanika Tucker, Anil Gurcan, Chris Mancini, Jules Stuber, Kate Oetheimer, and Amy Gaylord. At the Boston Harbor Pop-Up, kids of all ages can explore the harbor, create designs in the sand, and color murals featuring Boston’s sports teams and images from Boston Harbor. They can also learn and share stories and songs of the sea from Boston’s nautical past, and even pose for a picture with a big striped bass with Boston Harbor in the background. SHSB staff and interns enjoying the scenic harborside at the Pop Up. Selfie with a striped bass, anyone? (Left to right) Jules Stuber, Kate Oetheimer, Chris Mancini, Amy Gaylord, Anil Gurcan, Emily Bozadjian, and Tanika Tucker. The interactive exhibits include works by Save the Harbor’s Artists in Residence Olga Karayakina and Guillermo Erice as well as intertidal artist Andres Amador. It also includes fish prints, photographs, videos and other works created by Save the Harbor/Save the Bay’s Youth Environmental Education program staff. The Pop Up will be decorated with artwork from Olga Karayakina, Guillermo Erice, Andres Amador, SHSB staff... and YOU! (Left to right)- Anil Gurcan, Amy Gaylord, Jules Stuber, Tanika Tucker, Kate Oetheimer, Chris Mancini, and Emily Bozadjian. Making the harbor accessible for everyone to enjoy! (Left to right) Amy Gaylord, Chris Mancini, Anil Gurcan, Jules Stuber, Tanika Tucker, Kate Oetheimer, Emily Bozadjian. 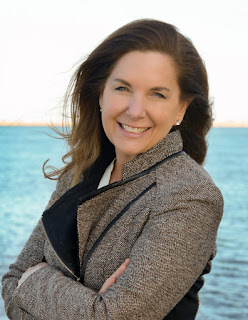 “Save the Harbor does tremendous work to educate children and adults about the positive impact that a clean harbor has for residents and businesses in the greater Boston area. We are delighted that our property, 226 Causeway is the first location to host this exhibit to promote their important work” said John Kiernan, Director – Asset Management at Invesco Real Estate, a global real estate investment manager. Our friends from CBRE New England enjoying a day at the harbor! (Left to right) Chris Mancini, Lucia Caradonio, Kayla Hammersley, Tanika Tucker, and Kara Modliszewski. The Boston Harbor Pop-Up is open Monday through Saturday from 10AM to 4PM and on Sunday from 12PM to 4PM. It is located at 226 Causeway Street in Boston, just across from North Station. Express your artistic creativity, enjoy the wonders of the harborside, and don't forget to take a selfie with the giant striped bass before you leave!